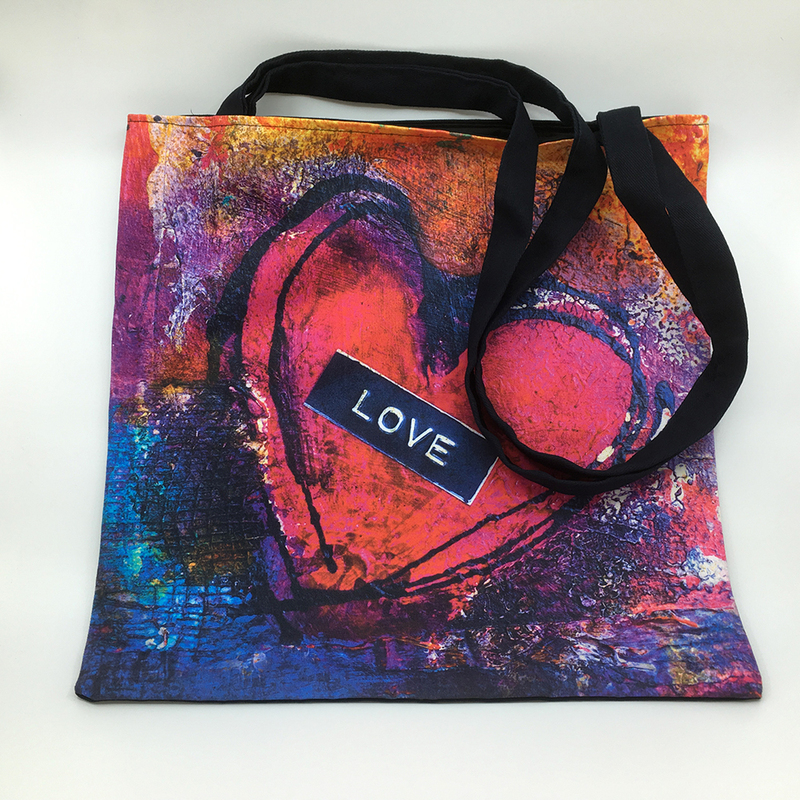 Textured heart art tote bag perfect as a shopping bag, market bag or beach bag. 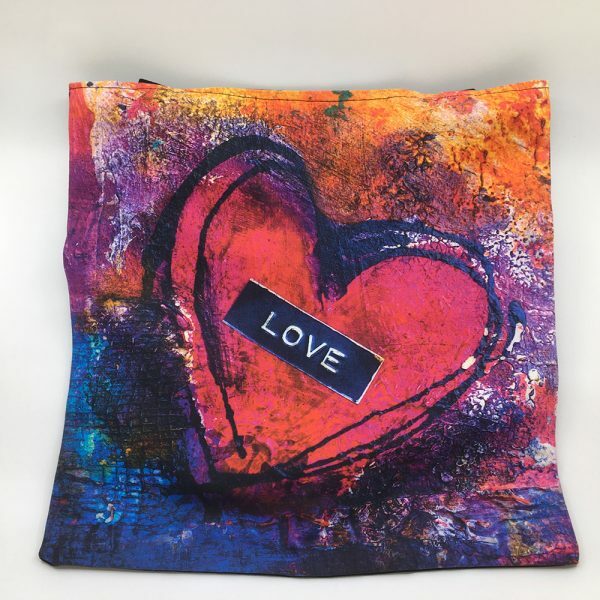 Textured heart art tote bag features original abstract art printed onto a 100% heavy cotton canvas 17 x 17″ tote bag, perfect as a shopping bag, market bag or beach bag. 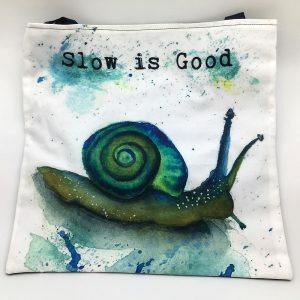 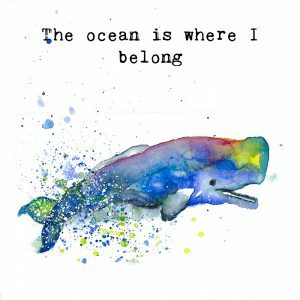 With bright and colourful reds, blues, purples and orange, the fabric is pre-washed, then printed using eco friendly water-based reactive and acid inks that permanently penetrate the fibers making them fade resistant. 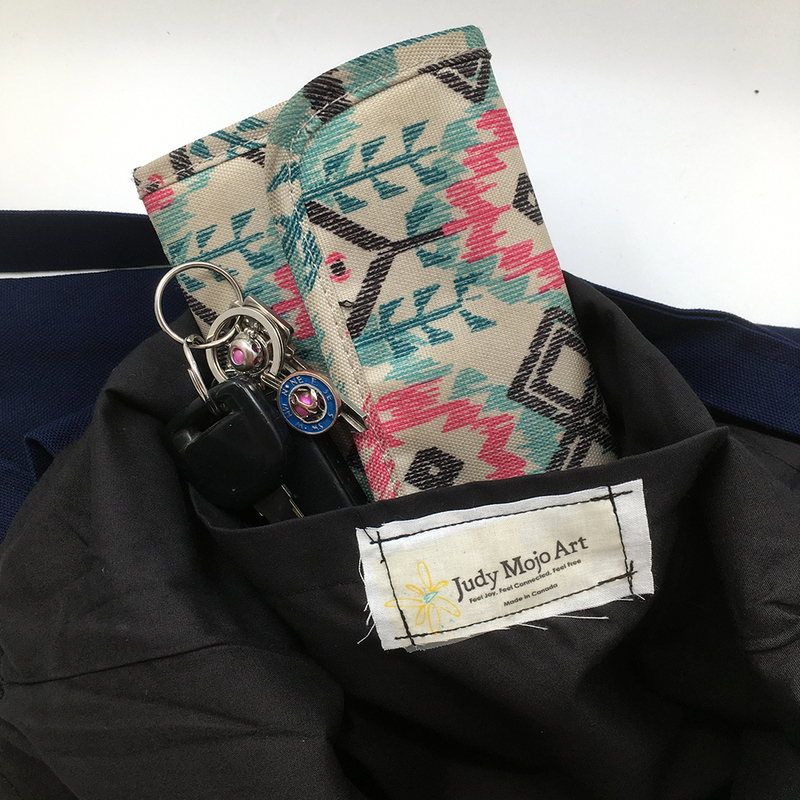 Tote bag has a large pocket to easily reach keys, coins, etc. Straps are reinforced to withstand heavy weight and are extra long giving the option to go across the body. 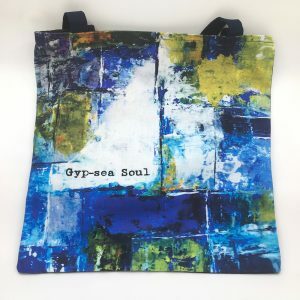 Tote backing and straps are either black or navy. 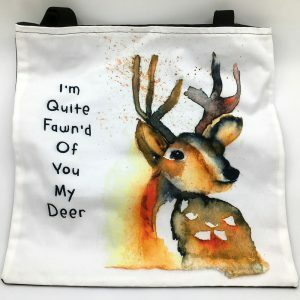 All items printed and made in Canada.